pic of 2 burgers added for dramatic effect. May or may not contain human heads. If you thought eating horse meat was bad, spare a thought for these diners. Two freshly severed human heads wrapped in cellophane were reportedly discovered at a hotel restaurant which served human flesh, according to a Nigerian newspaper. Police officers apparently made the grim discovery after receiving a tip-off about the eatery in the state of Anambra, Nigeria. Authorities, who also seized two AK-47 guns and other weapons, said roasted human head was even on the menu, it has been reported. 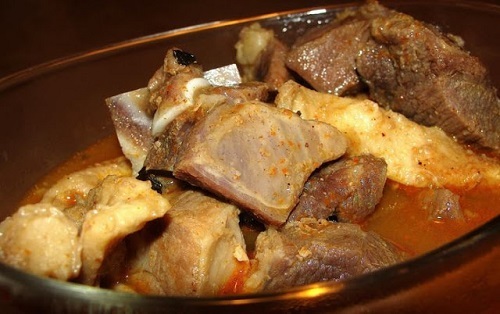 A pastor, who is thought to have visited the restaurant, is quoted as saying: ‘I went to the hotel early this year, after eating, I was told that a lump of meat was being sold at N700, I was surprised. ‘So I did not know it was human meat that I ate at such expensive price. ‘What is this country turning into? 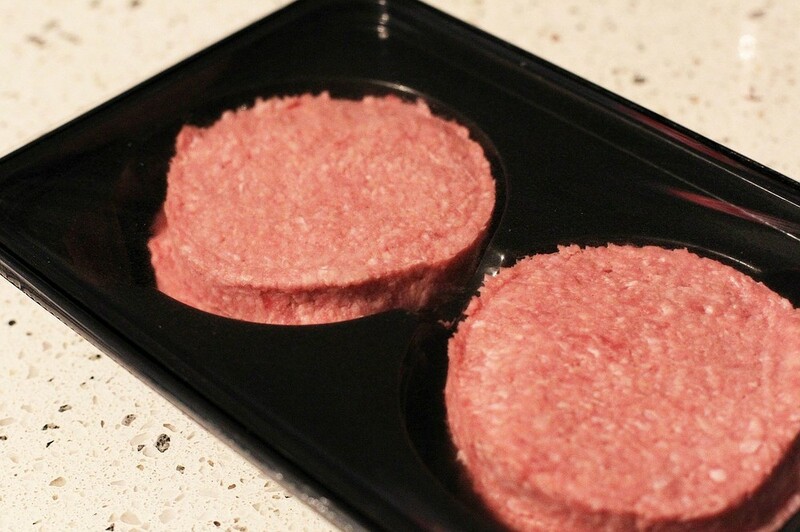 Can you imagine people selling human flesh as meat. The restaurant was shut down and 11 people were arrested following a police tip-off about the unusual menu items, according to tabloid the Osun Defender. Labeled as 'human meat' by the osundefender, this could be mere lamb or beef, but no one knows, or cares. I'm not sure where this story came from but very few of the major reputable papers have bothered covering it, not even the Nigerian broadsheets, but it seems the tabloids are having a field day with it. Cannibalism is not a part of Nigerian culture, and while the story takes the spotlight off the crushing corruption of its leaders for a while, i can't help wonder who would benefit from a story like this. If the restaurant in question was in say, London or Los Angeles, there'd be an uproar and it would dominate the news headlines, but cannibalism in africa? Meh. The typical response in the comments in the tabloids ranges from 'first they scam you, then they eat you,' to the 'nigs gunna nog' range of offensive insults. The 4 main newspapers that covered this story got their source from a single person named 'dellyma' (according to the independent) who uploaded the story onto a nigerian website. No one seems to have verified if the story is actually true, they just ran it, caring little about the consequences and prolly knowing full well it's the sort of headline that rakes in the money. Until someone proves the story is a hoax, most people are willing to believe it's true, despite zero evidence. (02-15-2014, 07:27 AM)Spud17 Wrote: i can't help wonder who would benefit from a story like this. ...i've always been fond of restaurants that are more inclined to serve tourists rather than members of their own community. a good chef can attest to putting a little bit of heart into every meal they prepare but a great chef always puts in a little bit more. sarima was more than a little embarrassed when she learned that a po'boy sandwich did not necessarily have to contain a poor boy. larry: when ground chuck just won't do. don't drop that fridge or heads will roll! nigeria: tourists rarely suffer in digestion. I find this all very hard to stomach. At least we can be sure the head chef has an excellent body of work. I think I might be able to eat there if they had some dinner music . . . maybe a nice organ solo. mutambe always wanted to be a head cook. I wonder what the prices were like there . . . an eye for an eye? If it is a hoax, then it's a bit distasteful. Wonder if they did finger food. seems like they specialized in brain foods. It is very rare to find a restaurant where you can get good head. Current time: 04-20-2019, 07:50 AM Powered By MyBB, © 2002-2019 MyBB Group.